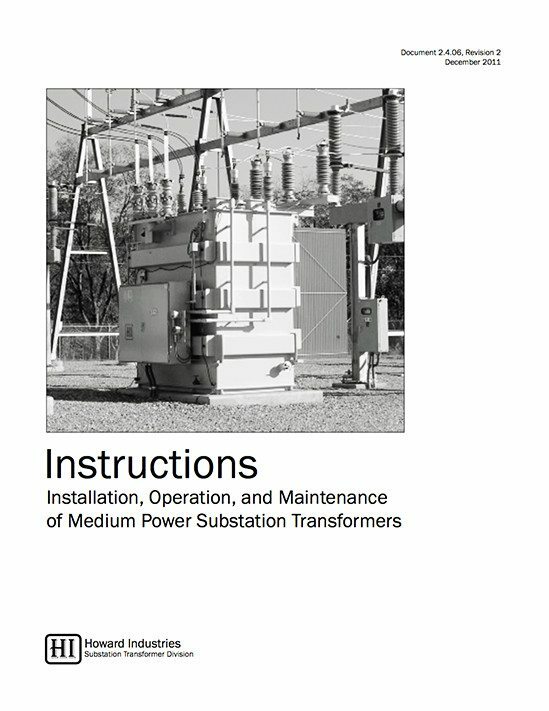 These instructions apply to medium power transformers manufactured by Howard Industries. It is important to read the safety information on Page 2 before attempting any installation, operation, or maintenance activities. Although all transformers, components, and accessories are carefully inspected and tested prior to shipment, a thorough receiving inspection should be conducted to detect any damage or loss that might have occurred during shipment. The receiving inspection should be done upon receipt and before unloading from the truck or rail car. Ensure that all equipment, accessories, and components listed on the bill of lading are present. Ensure that there are no signs of external damage. Ensure that the paint finish has not been damaged. Ensure that fittings, conduit, wiring, and other attachments are tight and undamaged. Check for evidence of fluid leakage on the tank, valves, or cooling assemblies. Check for damage to bushings. Check for damage to shipping crates, packages, or other materials shipped separately from the transformer. The tank vacuum/pressure gauge may indicate positive or negative when the transformer is received, depending on the relative fluid and ambient temperatures. This indicates that the transformer is sealed effectively. If the vacuum/pressure gauge reads zero, this may indicate the possibility of a tank leak, although a zero reading can occur occasionally with changing internal and external temperatures. In the case of a zero reading the tank should be pressure tested according to the instructions on Page 14 (Pre-energization Tests and Checklist). The transformer core and coil assembly was thoroughly dried before shipping from the factory. Precautions were taken to ensure that dryness is maintained during shipment. 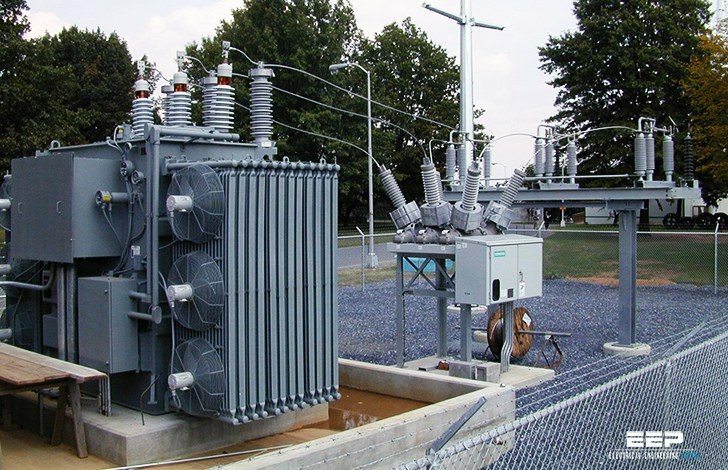 Since it is possible that moisture could enter the transformer tank due to mishandling or other causes, perform a dew point test as described below to ensure the core and coils are sufficiently dry. A dew point measurement of the gas inside the transformer tank can be used to estimate dryness of the insulation system. Using this technique, it is assumed that moisture content of the gas is in equilibrium with the moisture content at the surface of the insulation material.